The Lady Eagles got a big win tonight over one of their main rivals, the Birch Run Panthers. Struggling to rebound and sending the Panthers to the line too often early in the game, the Eagles were down 13-3 at the end of the first quarter. Slowly and steadily, ‘Muth chipped away at the deficit. With a balanced attack featuring five different girls getting in the scoring column in the second quarter, the Eagles cut the lead to a single basket by the half. A back-and-forth third quarter saw the Panthers clinging to a 2-point lead entering the final stanza where the Eagles finally were able to claim the lead. With less than a minute on the clock, junior guard Kelynn Kujat was fouled on a drive to the basket. After sinking both free throws, Kelynn tipped the ensuing inbounds pass to Sydney Merrihew, who converted the layup to give the Eagles a four-point lead with less than 20 seconds in the game. After a Birch Run miss on the other end, Brooklin Karwat secured the rebound, was fouled, and split the pair of free throws for the final basket of the game. For the Eagles, Kelynn Kujat led the way with 14 points, while also adding three steals. 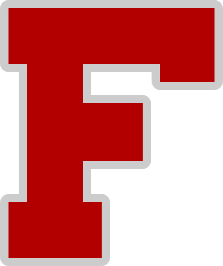 Frankenmuth also got solid production from sophomore Laney Soulliere (8 pts), junior Brooklin Karwat (7 pts, 6 steals, 4 boards), and freshman Emma Kerkau (6 pts). Birch Run was led by their all-state guard, Sarah Miller’s, 14 points.